What do NeNe Leeks, Tamar Braxton, and Kim Zolciak all have in common? They have all had blood clots in the past. What is a blood clot? Can you die from a blood clot? When I asked what NeNe Leakes and Kim Zolciak have in common, if you've been watching this season of the Real Housewives of Atlanta, you're probably thinking not much, but both of these ladies have had blood clots in the past. NeNe in 2013, and Kim in 2015 while she was on Dancing with the Stars. Both Kim and NeNe are young, active, healthy-looking women, and we know at least one of them is very rich, so why would they have blood clots? Blood clots cause more than 60 thousand deaths in the U.S. each year, yet most people know very little about them. Today I'm going to help change that because I'm going to give you a general overview of blood clots. 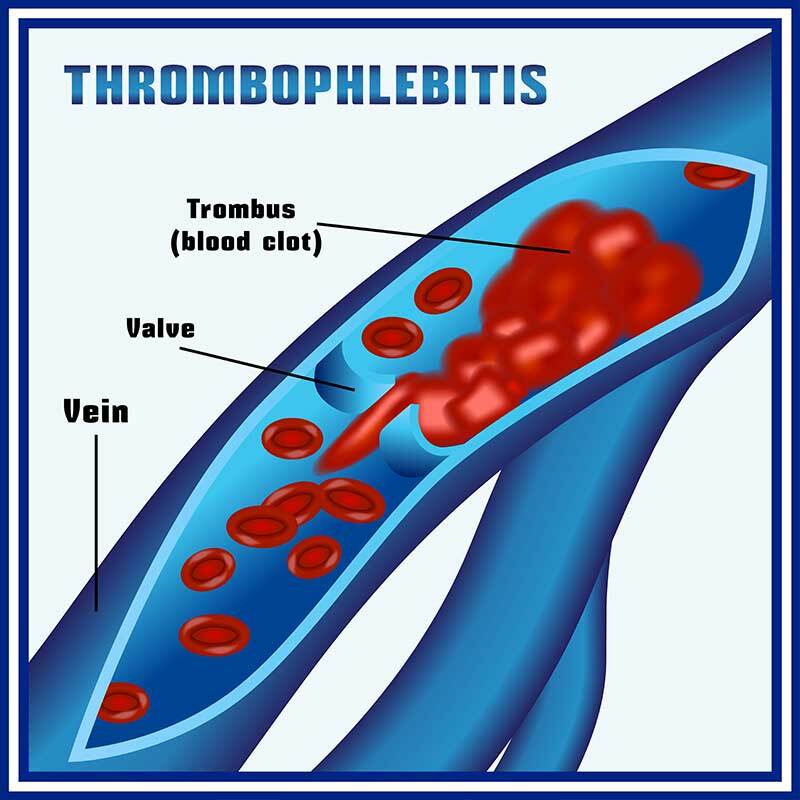 A blood clot, or venous thrombosis, occurs when the blood clumps together and forms a clot in the vein. Because this clots usually blocks the flow of blood in the vein, it can cause a backup of blood, kind of like a traffic jam, and this can cause pain and swelling in the extremity, leg, or wherever the blood clot is. Most blood clots occur in the larger, deeper veins in the legs. They're called DVTs. Deep venous thrombosis. Now, the thing about these blood clots is that they can break off, and they can travel to the lungs, and to the heart. If a blood clot breaks off and travels to the lung it is called a pulmonary embolism. This is what NeNe and Tamar Braxton had. What Puts You At Risk For Blood Clots? The risk factors are immobility or being sedentary. So if you're a person who travels a lot, for example, and you're sitting in the airplane for prolonged periods of time, or sitting in a car for a long car trip, at that time your legs are immobile or sedentary. This puts you at risk for a blood clot. Other risk factors include pregnancy, obesity, and smoking. Also, if you're taking birth control pills or hormone replacement therapy you're at risk for a blood clot. Cancer also puts you at risk. If you've had a blood clot in the past, you are at risk for a blood clot. Other risk factors are heart failure, recent surgery, and some genetic diseases will predispose you to blood clots. How Do You Know If You Have A Blood Clot? Some symptoms include pain and swelling in the area of the clot. You can have swelling in both legs for example, but usually, a blood clot will occur in one leg at a time, so if you're looking down at your legs, and one leg is swollen more than the other, you could have a blood clot. Also, redness and warmth in the area of the blood clot are symptoms. Some people even get fevers with a blood clot. If this blood clot does travel to your lung and you have a pulmonary embolism or pulmonary emboli, then you can also become short of breath, dizzy, lightheaded, fatigued, and you can get a very rapid beating of your heart. How Do You Diagnose A Blood Clot? If you're having any of the symptoms I described then you need to contact your doctor immediately, or just go to the emergency room right away. When you get to the doctor they can diagnose your blood clot by doing either compression ultrasonography, or they can do a Doppler to see if you have a blood clot. There are other tests as well that they can do, like CAT Scans, MRIs, or even more invasive testing. If your doctor is suspicious of you having a blood clot in your lungs then they can start off with a chest x-ray, but more specifically they can do a VQ Scan or a specialized CT Scan with IV contrast to see if you have a blood clot. There are also blood tests. Something called a D-dimer can be used to diagnose a blood clot. How Can You Prevent A Blood Clot? One thing you can do is stay active, move your body, and if you happen to be on a plane, train, or in a car for a long period of time, make sure you keep moving. Even if you're sitting down you can contract your calf muscles. You can pump those muscles, and keep those veins flowing. Try to move your ankles all around and point and flex your toes. Make sure that you don't allow yourself to be sedentary for too long. Also, if you're doing something like having a surgery then your doctor will likely give you a blood thinner. In order to treat blood clots, most patients need anticoagulation or blood thinners. This helps to prevent future blood clots as well. Depending on the type of blood clot you have you may need more invasive therapy like thrombolytic therapy, or even having a vascular surgeon go in and remove the clot. Some patients just can't take blood thinners because they may already have bleeding ulcers or something similar. In that case, your doctor may offer you something called a filter, which will help to keep blood clots from traveling to your lung, and to other places. What is a blood clot? I hope this has given you a much better understanding of blood clots. Please comment down below with any questions you have and tell me what else you'd like for me to discuss. Now you know what NeNe, Kim and Tamar Braxton all have in common. As for you, I want you to prioritize yourself. Go to your doctor. Find out if you're at risk for blood clots. Pay attention to yourself, and your health. I was diagnosed with blood clots in my jugular and in my left arm. There is one in my right arm but the doctor said that one is superficial. Anyways he put me on Warfarin 2.5 mg daily I was at 4mg.but when they checked my blood my levels were high so they lowered the dose. They make me feel weird so I stopped taking them. Will the clots go away by themselves?